Advancement to Worlds is always we look at and in Vishnu Engineering Robotics Team is dedicated to providing NAO - Interactive Humanoid Robotto all customer/s with the opportunity to enhance their skills in science, technology, engineering, and mathematics [STEM]. Students, Teachers shall become successful learners in a rapidly changing global environment through hands-on experience with our Robot. Our SDKapplication is not only a basic level but goes up to advance level for developers, teachers students to plan and manage projects starting from research and brainstorming to a fully-functional robot. These young adults shall become lifelong learners who can utilize their newly acquired skills. Our mission is to inspire young students, high qualified teachers to be science and technology leaders by engaging them in NAO Humanoid Robotprogramming coding that build science, engineering and technology skills. These skills inspire innovation and foster well-rounded life capabilities including self-confidence, communication, and leadership for the students and teachers. 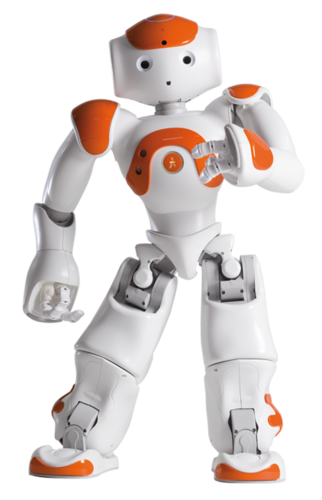 NAO Humanoid Robotis not only a great opportunity, but also a testimony to enhance knowledge and presentation of technology and bring out the capabilities. The support of Educational Management, parents is encouragementbyinvesting in Robot which will allow the students to focus on preparing tomorrow's technology worlds without anxiety rather than on how they will get there. We are also interested in developing long-term relationships with areaof Educational industry and others. If you are interested in developing new SDK and experience how you can be involved in terms of interacting with NAO Robot, please let us know as we welcome the opportunity of growing our Vishnu Engineering family. We are sure youwill be very proud of the enthusiasm and dedication of these students by using NAO Robot. We thank you in advance for your support and we look forward forhaving NAO Robot in your industry.